Lutheran Services of Iowa: Jammie and Holly's Volunteering Adventure! 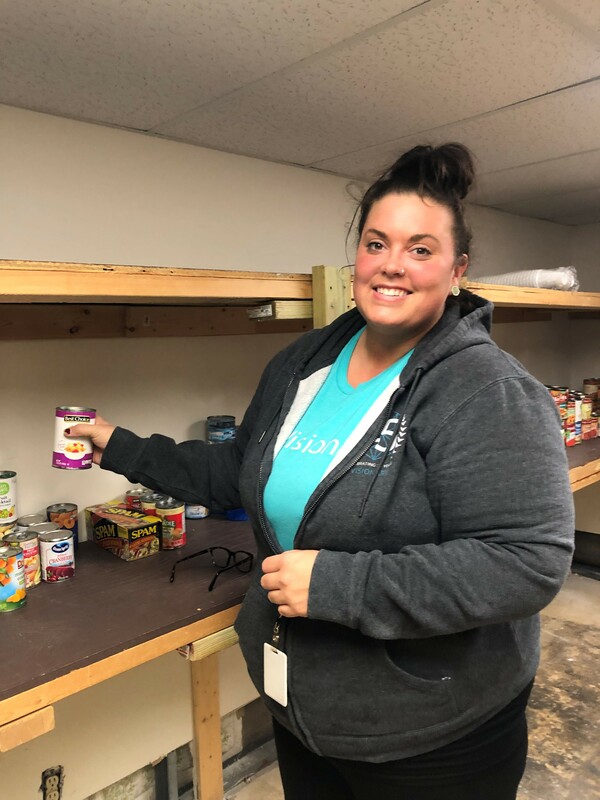 As a part of Visionary's new VTO policy, (check out our previous blog for background information), Jammie and Holly on our team went to the Lutheran Services of Iowa and helped organize their food pantry. This food pantry is available to those who have assigned caseworkers at LSI. Mostly canned items were available and consisted of fruit, vegetables, proteins, baby food, etc. They started their shift by sorting expired food and setting aside what they thought could be donated to a homeless shelter. Jammie and Holly were surprised to find that many items had expired due to ease of eating; if the food item needed to be cooked, have other ingredients added, etc., it was often left behind. Once they finished sorting out the expired goods, the Visionaries began organizing all the new food donations that had been given to LSI. They organized canned fruit, vegetables, protein, dairy, and baby food. Jammie and Holly designated areas on the pantry shelves for each type of item, that way it will allow pantry visitors to find what they are looking for with ease. Marcia with LSI helped coordinate while Jammie and Holly cleaned and organized the pantry; she was a joy to work with! Both Jammie and Holly would be happy to volunteer at LSI again! 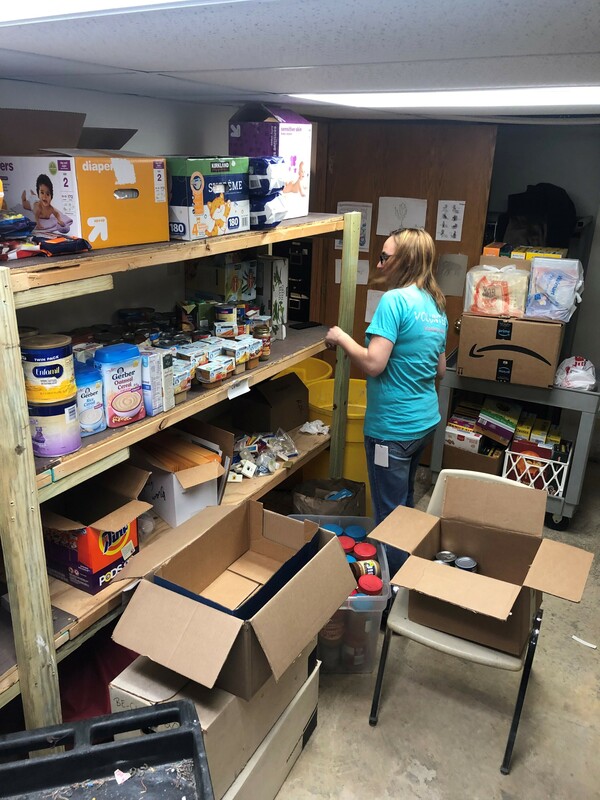 Local to the great state of Iowa and looking to help out Lutheran Services of Iowa? Check out their website for more info! Does your company have a VTO (Volunteer Time Off) policy? What organizations or opportunities have you been a part of? Email us to give us the scoop!